Do you have two different side mirrors on your car? Typically, the one on the driver’s side lets you see things as they are. But on the right side is a mirror that makes objects look farther away. It even has writing on it—“objects in mirror are closer than they appear.” You have two different mirrors on your car. When it comes to understanding end times and what God says in the Bible about the future of the world, called eschatology, there are two different mirrors people use that make the end look different. If you use the mirror where you can spiritualize prophetic passages, see the Church as Israel, the only Kingdom is spiritual, and all the promises to Israel are fulfilled in Christ–using that mirror results in a unique idea of how God ends the world. There are authors we respect who use that mirror, a few who attend our church do and we love them. If you use a different mirror, where you interpret prophetic passages normally, as literal as possible, see Israel and the Church as distinct, and believe all the promises to Israel in the Old Testament about a future Kingdom will be literally fulfilled with Christ physically ruling that earthly Kingdom, then you will see a different end of the world. Generally, what will that literal end of the world look like? At some time in the future the Church is going to be taken to heaven and there will be a 7-year period of God’s judgment called the tribulation–an evil leader will rise up out of Europe and unite the world. He will solve the Middle East tensions by making a treaty with Israel, but after 3½ years, he will break that treaty and savagely persecute Israel. Many Jews and Gentiles will be saved, many will die for their faith in Christ, and finally at the end of that 7-year period, in the midst of the final battle called Armageddon, Jesus Christ will return, wipe out His enemies, clean up the mess, lock up Satan, and Jesus will physically rule on this planet for one thousand years. Finally, even though the earth is like the Garden of Eden again, those days will end with one final rebellion. Then God will redo the earth, heaven will come down to earth, and all God’s true children will live in unending joy and perfection with Christ forever. Now let’s go back even further and look at some ancient prophecy, and see how some of this literal end of the world is described. 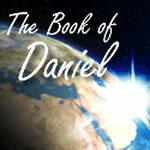 Twenty-six hundred years ago, God gave His servant Daniel a vision of the future. While it was not uncommon for God to communicate to His own people through dreams and visions, it is astounding He gave this amazing vision not only to Daniel, but also to a Babylonian king named Nebuchadnezzar, one of history’s most notorious rulers. Turn in your Bibles to Daniel chapter 2. It was the second year of Nebuchadnezzar’s rule over Babylon. Although the king was secure on his throne with all of his enemies subdued, he nevertheless was in great anxiety about the future. His worry stemmed from a recurring nightmare sent to him by God, so the king called in his counselors. But since he had forgotten important details of the dream, he demanded his brain trust not only interpret the nightmare, but also give him a vivid description of it. The king’s counselors thought it just a bit unfair, since when they could not describe the dream, the king ordered all the wise men to be executed. This also included Jewish captive Daniel and his three friends. Daniel next explains to Nebuchadnezzar that his dream was about the kingdoms of this world–his own kingdom and those that follow. Daniel told the king that the giant metal image represents four successive Gentile world powers that would rule over Israel in the days ahead. The word kingdom is used ten times in verses 36 to 45. A kingdom is the dominion that a king rules, or a “king-dominion.” It describes the people and territory under the rule of a single government. Daniel started revealing the meaning of the statue in five sections: head of gold, the breast and arms of silver, the belly and thighs of copper and brass, the legs of iron, and the feet of part iron and part clay. The first world empire, represented by the statue’s head of gold, was Nebuchadnezzar’s own kingdom of Babylon. No debate here–Daniel makes that crystal clear in verse 37, speaking to Nebuchadnezzar. Daniel says, “You, O king, are the king of kings, to whom the God of heaven has given the kingdom, the power, the strength, and the glory.” No need to guess, Daniel tells us the gold head is Nebuchadnezzar. And the king would not have doubted that the head of gold referred to his kingdom, since the chief deity of Babylon was Marduk, known as “the god of gold”, his idols were made of gold, the city was overlaid with gold, and the Babylonians worshiped gold. The third world empire in the image is represented by its belly and thighs of bronze. Daniel told the king in verse 39, it will be a “kingdom of bronze, which shall rule over all the earth.” This is the empire of Greece, the kingdom of Phillip of Macedon and his famous son, Alexander the Great, who used bronze swords and shields. Not only does history confirm Greece as the empire that succeeded the Medo-Persians, but Daniel himself later says Greece is next. In Daniel 8:21, the shaggy goat represents the kingdom of Greece, and the large horn that is between his eyes is the first king. Under Alexander, the Greek empire was unified under a single culture and language, and encompassed more territory than either of the previous empires. In fact, “Mr. the Great” cried when there were no more peoples to conquer. The fourth empire in the image is symbolized by its legs of iron. Daniel describes this empire in Daniel 2:40, “There will be a fourth kingdom as strong as iron; inasmuch as iron crushes and shatters all things, so, like iron that breaks in pieces, it will crush and break all these in pieces.” History shows us that Rome is the fourth kingdom. Not only was Rome the successor to the Greek empire, but the iron legs provide a clear description of the nature of Rome. The word iron is used fourteen times in the text describing Rome in Daniel 2. Historians often use iron as an adjective when characterizing the Roman Empire–Rome’s iron will, Rome’s iron fist, Rome’s iron heel, Rome’s iron legions. Now, history confirms the progression of Nebuchadnezzar’s dream. The Babylonians were overthrown by the Medo-Persians. The Medo-Persians were conquered by the Greeks, and finally the Grecian peoples were conquered, overcome or politically assimilated into one great kingdom known as the Roman Empire. Rome came into existence fifty years before Jesus was born, and it continued in power throughout the Lord’s earthly ministry and beyond. It was Roman rule that put Jesus on the cross. It was the imperialistic Romans who ruthlessly ruled the world during the early days of the Church. The fact that Rome is represented in the statue by its two iron legs is also significant, as one historian writes. By AD 395, the Roman Empire had split into two political areas of rule: the (Latin-speaking) West with its capital in Rome, and the (Greek-speaking) East with its capital in Constantinople (modern Istanbul, Turkey), which included the land of Israel. This division of the Empire is depicted in the statue’s two legs. But the splitting of the Roman Empire into two political units was not to be the last division that the kingdom would suffer, as Daniel explained to Nebuchadnezzar when he turned his attention to the statue’s feet and toes. In the king’s dream, the feet and toes were composed of a mixture of iron and clay. Though positioned at the bottom of the image, these extremities are apparently highly important, for Daniel said as much about the feet and toes as he had said about the other parts of the image combined. According to the Word of God through Daniel, there is to be yet another division in the Roman Empire. Not a division of two, as indicated by the image’s two legs, but a division of ten, as symbolized by its ten toes. Daniel foretells a time when the Roman Empire will consist of ten kingdoms or leaders or regions. Since the downward movement from one section of the statue to the next represents the passage of time, the feet and toes stage must follow the legs stage. But when we look back at the history following Daniel’s prediction, we find nothing in history that even remotely corresponds to a tenfold Roman coalition. That leads us to believe this fifth and final feet and toes stage is yet to come, and is yet to perform its prescribed role in human history. Daniel gives us one other piece of information that enables us to understand the timing of the events conveyed in Nebuchadnezzar’s dream. Look at verse 44. 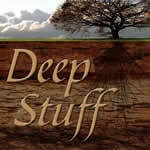 He tells us this final form of the Roman Empire will be on the earth when God is about to set up His earthly kingdom. “And in the days of those kings (the rulers of the ten segments of the new Roman kingdom) the God of heaven will set up a kingdom which will never be destroyed, and that kingdom will not be left for another people; it will crush and put an end to all these kingdoms, but it will itself endure forever.” Because the entire chapter describes literal earthly kingdoms, we believe this coming Kingdom is a literal earthly Kingdom as well. But some of us need more help, so God gave us a parallel chapter–a corroborating vision. Turn now to Daniel 7. Years after Nebuchadnezzar’s dream of the towering image in chapter 2, and fourteen years before Babylon fell to the Medes and Persians, Daniel had a vision of his own recorded in chapter 7 that confirms and expands our understanding of Nebuchadnezzar’s dream in chapter 2. In Daniel’s vision of chapter 7, a powerful wind stirred the ocean, so verse 3 says, “Four great beasts came up from the sea, each different from the other.” These beasts represent the same Gentile kingdoms as those depicted in the king’s dream of the image of the man in chapter 2, but this time the character of the kingdoms is revealed. The first vision of Daniel 2 characterized the kingdoms of the world as a man would assess them–majestic, massive, gigantic, and overwhelming. Man is impressed with his accomplishments. In the second vision of Daniel 7, the kingdoms were shown the way God sees them, as savage beasts, destructive, divisive, angry and cruel. While the two visions were radically different in their presentation, both were given for the same purpose–to show Daniel and his people what in the world was going to happen. Why did God choose this particular time in history to reveal so great a prophecy? It was designed to assure His people, who are currently enslaved and in captivity. Assyria had taken the Northern Kingdom of Israel captive in 722 BC, and now, just over one hundred years later, the Southern Kingdom of Judah was in captivity in Babylon, starting in 605 BC. If you’d been a Jew during that time, you might have wondered, is God finished with us? Through these two visions, God assures His beleaguered people–this isn’t the end. You have a future (chapters 8 to 12). There is a time in the future when I will once again be involved with you as a nation. But I want you to know what is going to happen between now and then. We know this ten-kingdom prophecy of Daniel remains in the future, because not only has the ten-leader form of the Roman Empire never existed in history, but neither has such a kingdom been suddenly crushed as prophecy indicates it will be. According to Daniel 2, the Roman Empire in its final form will experience sudden destruction by Christ’s return. Remember in Daniel 2:44 it will crush and put an end to all these kingdoms. The Roman Empire of Jesus’ day did not end suddenly. It gradually deteriorated and declined over many centuries until the western part, the Holy Roman Empire fell in AD 476, and the eastern part, the Byzantine Empire, fell in AD 1453. You can hardly imagine a more gradual slide from glory to oblivion. We must conclude then, that some form of the Roman Empire must emerge in the end times, and according to Daniel, it will be in place prior to the coming of Christ to rule and reign over the earth. So the future manifestation of the Roman Empire that Daniel prophesied twenty-six hundred years ago will take the form of a coalition of ten world leaders, and will encompass the same territory as the historic Roman Empire. Do we see some of that happening today? Is Europe, the old Roman Empire today, forming a coalition? Right before our eyes–and only in recent years. In 1946, following the devastation of the Second World War, Winston Churchill forcefully asserted that “the tragedy of Europe” could only be solved if the issue of ancient nationalism and sovereignty could give way to a European “national grouping”. He said the path to European peace and prosperity on the world stage was clear: “We must build a United States of Europe.” Churchill’s call initiated a series of steps toward unification. In 1948, a conference held in Belgium would lay the foundation for a new organization “to unite European countries economically and politically to secure a lasting peace.” Only three tiny nations attended the meeting, because they saw unity as their only hope of survival in the postwar world. In 1951, three additional nations, Germany, France and Italy, joined to form a common market for coal and steel in an environment of peace and equality. In 1957, the Treaty of Rome was signed on one of the famous Seven Hills of Rome, with these same nations creating the European Economic Community–the Common Market. In 1973, the United Kingdom, Ireland, and Denmark joined the EEC, and Greece was added in 1981. In 1986, Spain and Portugal came into the union, and the agenda expanded beyond economics when the EEC officially adopted the goal of a politically unified Europe. The Berlin Wall fell in 1989, Germany was reunified, and East Germany was integrated into the membership. In 1992, the economic borders between the nations of the European community were removed, and a common passport was issued to travelers. Study in universities within the nations was also permitted without any restrictions. In 1995 Austria, Finland and Sweden joined the Union. In 2002, eighty billion coins were produced for use in the twelve participating nations of the Euro-zone, thus introducing the new monetary unit, the euro. Despite expected fluctuations, the rise in euro value has been steady and observable, and the dollar has declined against it. Now many experts believe that within years, the euro may actually replace the US dollar as the standard world currency. In 2004, Cyprus, the Czech Republic, Estonia, Hungary, Latvia, Lithuania, Malta, Poland, Slovakia, and Slovenia were added to the European Common Market. These nations brought 75 million people into the European Union, expanding its population to 450 million people, thus surpassing North America as the world’s biggest economic zone. In 2007, Romania and Bulgaria were admitted to the EU. Currently the EU considers Israel part of the ancient Roman Empire as ineligible for membership due to human rights violations, based on its occupation of the West Bank, Gaza Strip, Golan Heights, and East Jerusalem. It has been proposed however, if Israel would sign a peace treaty with its hostile neighbors it would be offered membership in the EU. Gradually yet steadily, the nations of Europe have come together, creating a modern replica of the ancient Roman Empire. Europe is more integrated today than at any time since the days of ancient Rome. The United States of Europe is considered by many to be the second most powerful political force in our world. We don’t know how they will be divided up into ten toes, or ten regions, but we know it is possible and could be soon. The government of this union is broad and complex right now, but there is continual call for more authority and control by the members of the European Union, in order to produce more unity, economic strength and more centralized power. As you follow the news, make sure you remember that this is a new empire in the making–an empire that occupies the same territory as the ancient Roman Empire. Daniel gives us further insight into this rising coalition by describing it as a mixture of two “non-cohering materials.” We already know that iron represents the strength of the old Roman Empire. In the newly constituted empire however, the prophecy tells us iron will be mixed with ceramic clay. Clay is nothing like the other materials that composed the image of Nebuchadnezzar’s dream. Clay speaks of weakness and instability. The best interpretation of this unstable mix is, the combination of clay and iron represents the diverse racial, religious and political elements that will comprise this final form of the Roman Empire. That is, in fact, what we see today in the early manifestation for the European coalition. While the EU has great economic and political clout, the cultures and languages of its various countries are so incredibly diverse, it cannot hold together any more than iron and clay, unless unity is imposed and enforced by an extremely powerful leader. Daniel 2 and 7, remind us of where the world is headed. Since the time of the Roman Empire, there has been no nation or empire with the power to govern or dominate the known world. But it is coming. In the future, there will be a short period of time when the world will be unified under one dominant leader. We saw in Chapter 7 that the fourth beast had ten horns growing from its head. We don’t need to guess who the beast and ten horns are, for Daniel tells us directly in verses 23 to 24. “The fourth beast will be a fourth kingdom on the earth, which will be different from all the other kingdoms, and it will devour the whole earth and tread it down and crush it. 24 As for the ten horns, out of this kingdom ten kings will arise.” The fourth beast represents the fourth successive kingdom after Babylon, which history identifies as the Roman Empire. But since Rome was never ruled simultaneously by ten kings, we know those kings are yet to arrive on the stage of world history to rule a newly formed empire that overlays the territory of the ancient Roman Empire. I believe the concentration of power in the European Union could be signaling the beginning of this new world order. That’s chilling. The world in its ignorance will actually embrace the power that will seek to enslave it. The European Union is the kindling awaiting the spark of the antichrist to inflame the world with unprecedented evil. Don’t be fooled friends–these things are coming–they are taking shape. If the Berlin Wall could fall in 1991, causing the entire world map to change in a day, these prophetic things can take form in a moment. So what should we do? The only way to avoid judgment–be forgiven, get to heaven, be secure, is to turn to Jesus Christ alone for salvation. It is not being religious, going to church, reading the Bible, praying, saying you love Jesus, being nice, praying a prayer, walking an aisle, making a decision, talking about the Bible—none of that. Jesus hates religion. Religion is trying to earn your way to heaven, you doing things to earn God’s favor, you acting Christianly without Christ. Religion tries to work hard and be nice so God will accept us. Religion is you trying to reach up to God, acting nice so He’ll like you–Jesus Christ hates religion. True salvation is God saving you–it is God reaching down to rescue rebellious, helpless, and hopeless people. It is God doing the work by sending His perfect Son to earth, to live as the God/man, then die for your sins on the cross. As a man, He took our place, and as God, He was an acceptable sacrifice. Then He rose from the dead and can change you from the inside out so that you actually want to please Him, because you have a new heart, are forgiven, cleansed and ready for heaven. He did the work, you exchange all that you are for all that He is–you will depend on and follow Him when it’s genuine. First Thessalonians 5:9 applies only to genuine Christians, “For God has not destined us for wrath, but for obtaining salvation through our Lord Jesus Christ.” All those not in Christ are destined for eternal wrath—hell. Get secure by turning to Christ alone for salvation. Remember what Daniel said in 2:21, “And it is He [God] who changes the times and the epochs; He removes kings and establishes kings.” What is happening in our nation is not an accident, and what is happening around the world is not an accident. God is in charge, and He knows what He is doing. Be encouraged about your future–for the Christian, to live is Christ and to die is gain. To be absent from the body is to be home with Christ. Jesus said in John 14:1 to 3, “’Let not your heart be troubled; believe in God, believe also in Me. 2 In My Father’s house are many dwelling places; if it were not so, I would have told you; for I go to prepare a place for you. 3 And if I go and prepare a place for you, I will come again, and receive you to Myself; that where I am, there you may be also.’” Jesus commands you to not be troubled. He literally says, don’t get all stirred up about this world, politics, nations, even your life. Your trials, your difficulties and your pains are not forever–trust in God’s control, and trust in God’s future for you. God’s will is being accomplished on this planet (with our nation and your life), and you are His beloved child–a co-heir with Christ. Be encouraged. The Church in the USA, in general, is asleep, comfortable and complacent. We are to be alert, awake, watching and ready for duty. Jesus says in Matthew 24:42, “Be on the alert, for you do not know which day your Lord is coming.” Paul reminded the Church in 1 Thessalonians 5:6, “So then let us not sleep as others do, but let us be alert and sober.” You know the drill–you are at school goofing off with your friends until the teacher comes walking by, making sure you’re working on the assignment. You are at work goofing off with others until the manager comes by, when everyone snaps back to their duties. In the Church, we are complacent until we remember Jesus is coming any moment, and our only opportunity to make any difference for eternity is right now. Are you alert or asleep? Time is ticking away. Peter tells us God’s heart toward those who are not yet saved, when he says in 2 Peter 3:9, “The Lord is not slow about His promise, as some count slowness, but is patient toward you, not wishing for any to perish but for all to come to repentance.” And how will they come to repentance? If they are chosen, when they hear the good news that Jesus alone can rescue them from the punishment they deserve for their sins, rose from the dead, and lives to transform his children from the inside out. But they will not respond to the Gospel just by watching your life–you must witness by sharing the Gospel, you must talk, tell, speak. Of course, it is always best if they see Christ through you in acts of compassion, deeds of sacrifice, building intentional friendships in order to share the message in a loving way. Make a plan, pick out those you need to share with, serve them, love them, get to know them, then tell them of Christ. Time is running out on this life and this world. I told you about a friend of mine who received a greeting card at work–it said, “I wish for you all the world can give.” My friend’s reaction was, “Oh great, all the world can give–pain, sorrow, sickness, disease, tornadoes, fire, depression, sin.” We who live in a comfortable society like ours often forget that this world is not our home, but we will not grow expectant if we forget that this life is the only heaven the non-Christian will experience, and this life is the only hell the Christian will experience. We need to remember our home is heaven, and the Bible tells us that in heaven . . .
You will have intimate and personal conversations with God, not by faith anymore, but by sight–can you imagine that, face-to-face with Jesus?